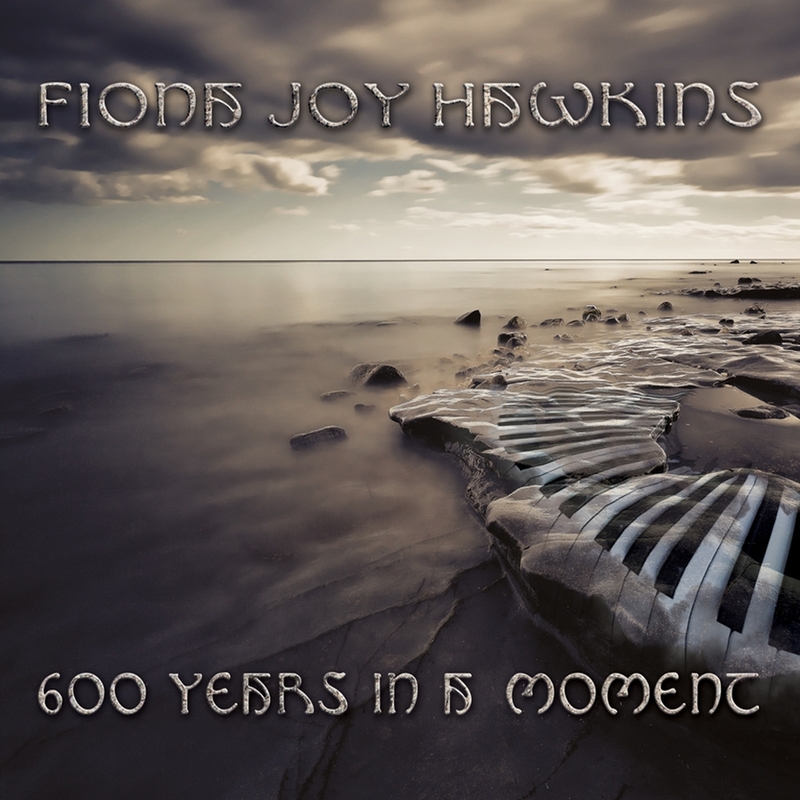 Fiona Joy Hawkins to perform selections from 600 Years in a Moment this Sunday in Burbank, CA. 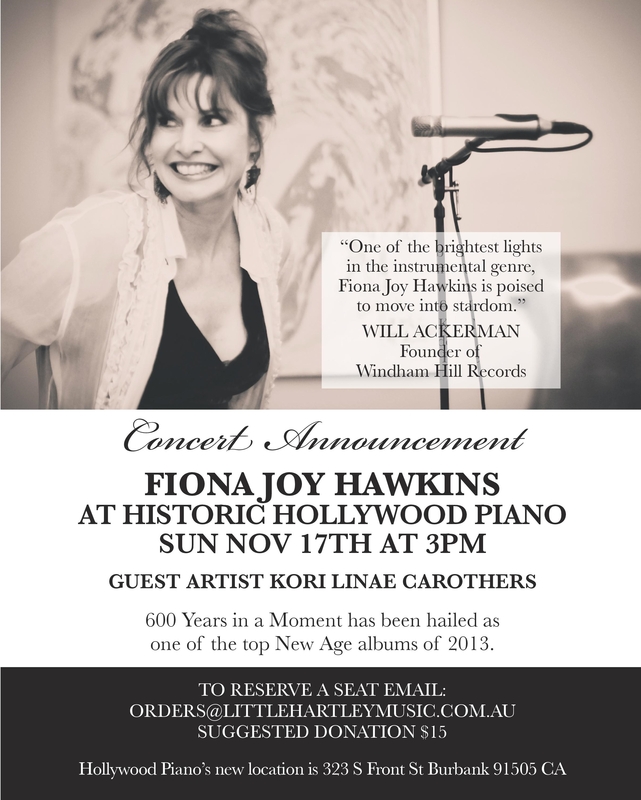 On Sunday, November 17, award-winning Australian pianist & composer Fiona Joy Hawkins will perform an afternoon concert to celebrate the release of her new album, 600 Years in a Moment, at the historic Hollywood Piano in Burbank, at 3 p.m. Hawkins will be joined by special guest artists Sapphron Obois (soprano sax), Sherry Finzer (alto flute) and fellow pianist Kori Linae Carothers. There is a suggested donation of $15, to be collected at the door. Hollywood Piano has a new location, at 323 S. Front Street, Burbank, CA, 91505; lite refreshments will be served. Hawkins will entertain both fans and entertainment industry execs at this rare L.A.-area performance before returning to Australia. She has been touring the U.S. for several months, pausing to co-produce an album at Imaginary Road Studios in VT with the legendary producer and guitarist Will Ackerman. At this final show, she will perform selections from 600 Years in a Moment, works from the critically-acclaimed and award-winning album BLUE DREAM (to which Obois contributed), and pieces from Sensual Journeys. If the audience is lucky, she will play Film Score Audition, the uncut 15-minute piece that has become a fan favorite on YouTube. Hawkins has an impressive biography, but the highlights include that she is an ARIA Finalist (the Australian Grammy's), MusicOZ Winner, ZMR Album of the Year winner, and Independent Music Awards Finalist. With over 46 awards across 9 countries, Fiona has worked with internationally-renowned artists T-Bone Wolk (Hall & Oates), Tony Levin (Peter Gabriel, Dire Straits), Jeff Haynes (Pat Methany), Eugene Friesen (Paul Winter Consort) and Rebecca Daniel (ACO) as well as Producers Will Ackerman and Corin Nelsen. One of Hawkins' pieces was featured on National Public Radio, as part of a segment on the 102-key handmade Stuart & Sons grand piano, titled "Musical Innovation: A Grander Grand Piano" by Neva Grant. Born in Cessnock NSW Australia and raised in both Newcastle and Tamworth, the Hawkins family home was filled with music." My father played Jesus in the Tamworth Musical Society production of Jesus Christ Superstar; Andrew Lloyd Webber's music was part of our lives." Classically trained as a pianist, Hawkins' music is thematic and melodic. With a keen eye on film she has always been interested in creating music that evokes images and emotions and tells a story; she first began playing and writing music as a child, and cites Ravel's Bolero as an early influence. "I played it over and over and deconstructed every part, I absolutely loved it," she says. Other musical influences include: George Winston, Prokofiev and Mendelssohn. Those seeking "what to do in Los Angeles this weekend" would be wise to preview 600 Years in a Moment (youtu.be/sxuN650ABbw) and catch the live performance of this artist's unique musical vision. 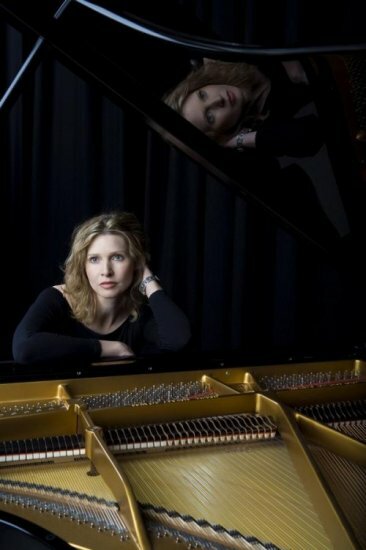 Seating for the concert is limited; for info on how to reserve seats, please see the poster or find details at: https://www.songkick.com/concerts/18044849-fiona-joy-hawkins-at-hollywood-piano.